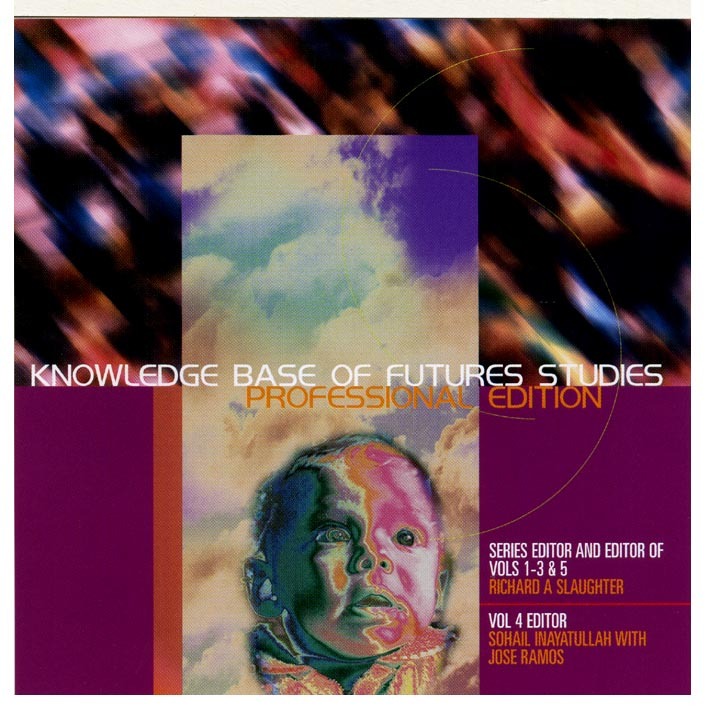 2016 marks the 20th anniversary of the Knowledge Base of Futures Studies (KBFS). 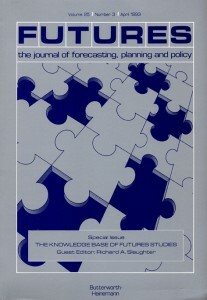 It first appeared as a special issue of Futures in March 1993. Besides the editorial it contained 7 original papers, 10 ‘divergent perspectives’ (from as many different countries) and no fewer than 5 bibliographies. The first book edition was a three-volume set presented in a sturdy slipcase. The first volume covered Foundations, the second Organisations, Practices and Products and the third Directions and Outlooks. It was officially launched at a World Future Society Conference (WFS) in Washington DC during July 1996. Hughes de Jouvenel, Wendell Bell and Hazel Henderson assisted with the launch. Two further hard copy editions followed. Then in 1999 and 2000 my son Rohan and I converted the original files into html documents and assembled the first CD-ROM. It was followed in 2005 by an expanded 5 volume professional edition that was subsequently adopted for university courses around the world. A succinct account of how and why the KBFS was developed, along with some of the feedback it received, can be found on the FI site here. Also see here under Futures Archive. 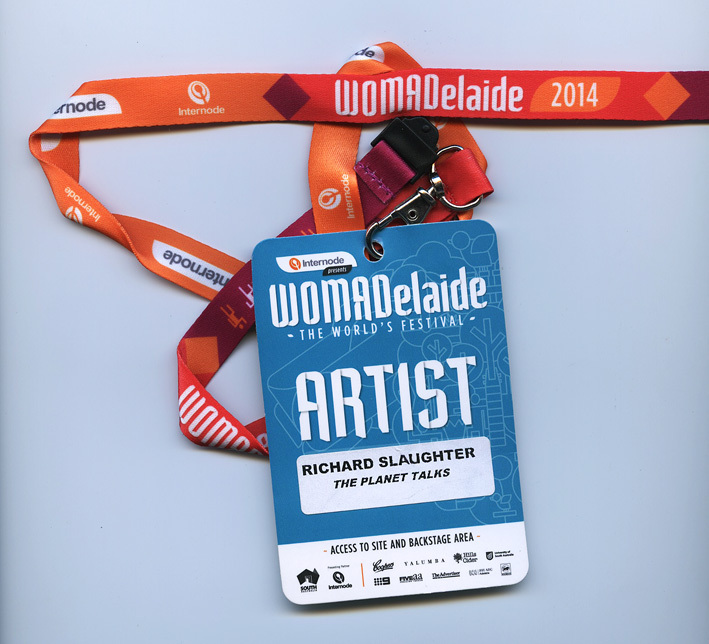 The last year or so has been very productive and I’ve produced several substantial pieces of work. One of these looked at the journal Foresight in some depth and came to some startling conclusions. 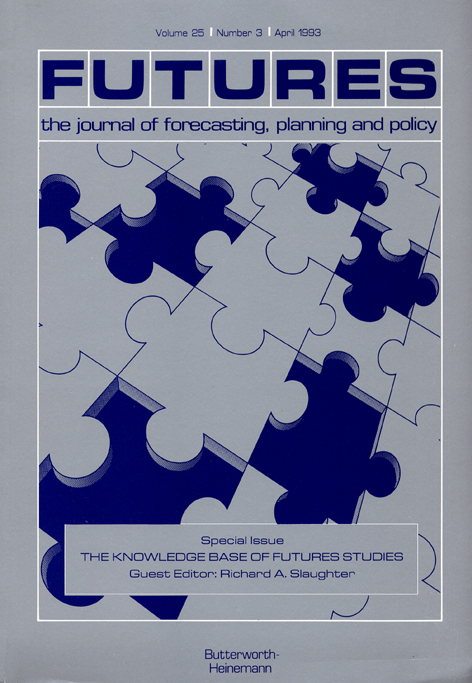 An abridged version was published in the APF’s journal Compass. It can be found here under Research Notes on the Futures Archive page. Another is called Re-assessing the IT revolution and is shortly due for publication in another journal. A more recent piece concerns Integral futures and the search for clarity. Part of this contains a critique of some key figures (and organisations) from Silicon Valley and speculates on the steady construction of a new Panopticon – a repressive surveillance system – that already exists in some places. A draft of the paper has been placed on the Action Resources page (along with a stimulating piece by Ugo Bardi on The future of humankind after the great crash). Needless to say this is not reading for the faint-hearted. Of the many books I’ve read during this time two stand out: This Changes Everything by Naomi Klein and Collision Course by Kerryn Higgs. 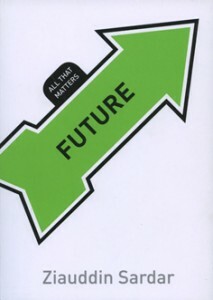 A review of each will shortly appear in Best Futures / Foresight Books under Futures Archive. Finally I am taking a look at an impossible-to-miss technical innovation that seems to be springing up everywhere. The thinking behind this new generation of high-tech advertising signs is truly astounding, as is the unapologetic but wholly unjustified sense of entitlement that they represent. Hence the working title for the piece is Rogue Signs. A draft will be placed on this site – along with several illustrations – when I’ve had time to finish it. The session I took part in was called Transforming Society and the other two speakers were Paul Gilding and Simon Holmes a Court. Robyn Williams was the host. 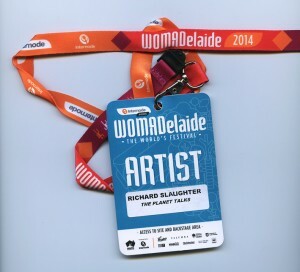 It was broadcast in late May on the ABC program Big Ideas. Here is a link to the video recording. Futures Studies in its modern incarnation has been around in one form or another for at least half a century. During that time it developed and evolved into a complex, globe spanning and diverse entity that can be hard to describe and explain to newcomers or interested others. Yet, despite an obvious need and various efforts a truly satisfactory and culturally aware introduction had proved elusive. Some ten years ago I had a conversation with Sardar about collaborating on one. The message that came back at the time was that publishers were simply ‘not interested.’ So the first thing to say about this handily diminutive and very welcome book is that I’m glad one publisher finally did see the point. Secondly, while no two people would approach such a book in the same way, I doubt if a better person could be found to take it on. As a former editor of Futures, and a formidable scholar and writer in a number of areas, there can be few anywhere better equipped to deliver the readable introduction we now have. I’ve finally put up a sample of synthesised images on this gallery (at right) and will add more over time.